When you see the error message “Your Windows account name must contain only English letters and numbers” on iMyFone Umate Pro, it means that your windows account name contains something except English letters and numbers. To fix this issue, please uninstall iMyFone Umate Pro first. Then follow the steps below to create a new account on your PC and run the iMyFone Umate Pro to erase data from your iPhone. 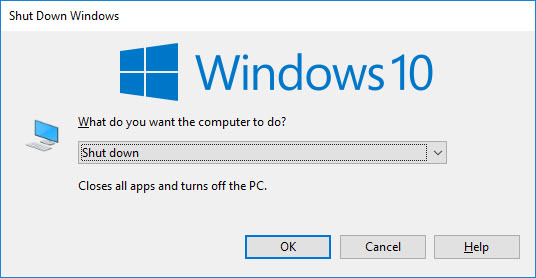 Step 1: On your PC, go to Control Panel. You can search control panel to access it. 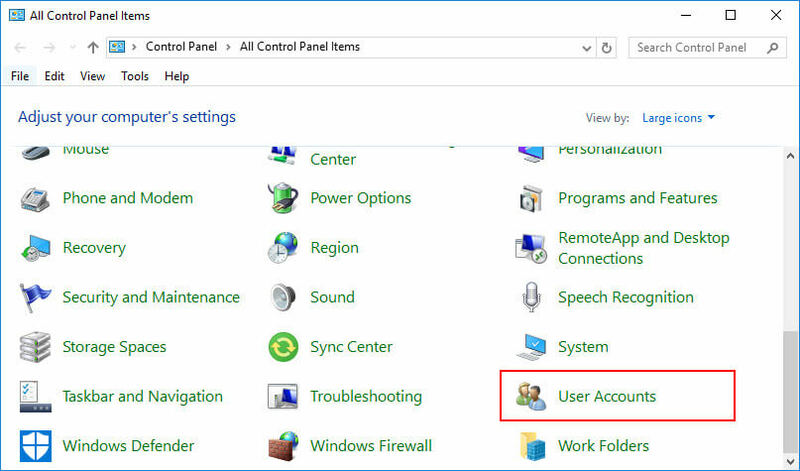 When you are in the Control Panel, find User Accounts and click on it. 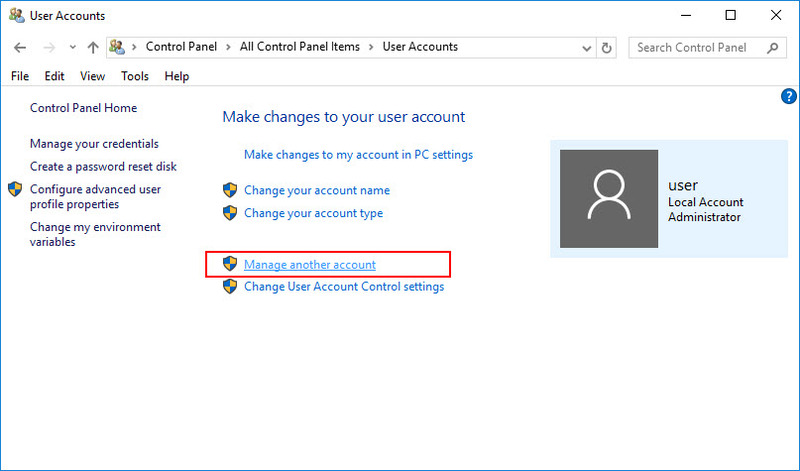 Step 2: To create a new account, click on where it says Manage another account. Step 3: All your accounts on this PC will be displayed there. 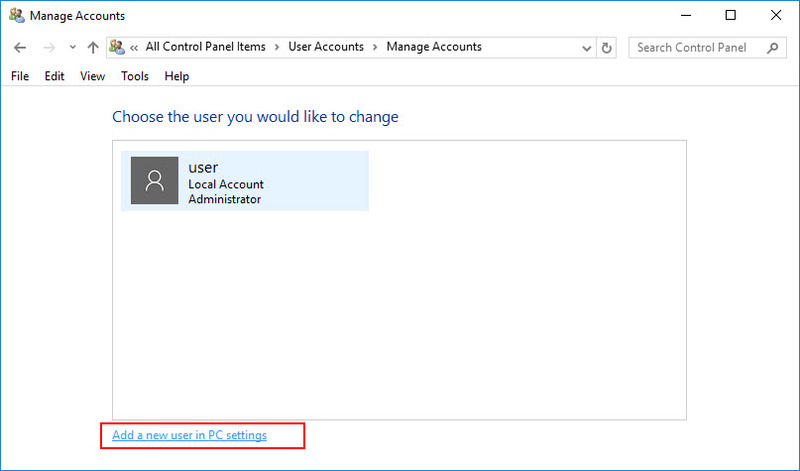 Click on where it says Add a new user in PC settings, under the box. Step 4: The Settings window will pop up. Click on Add someone else to this PC. Step 5: A new window will pop up and ask you to sign in. If you want to sign in with your email or phone, just type in the info. Then click Next to finish the setup. 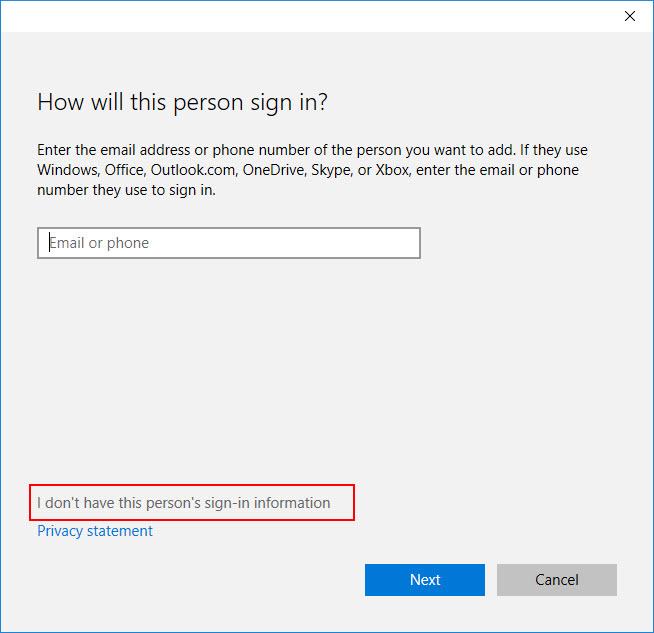 If you don’t want to sign in with email or phone, click where it says I don’t have this person’s sign-in information. Then follow the next steps. 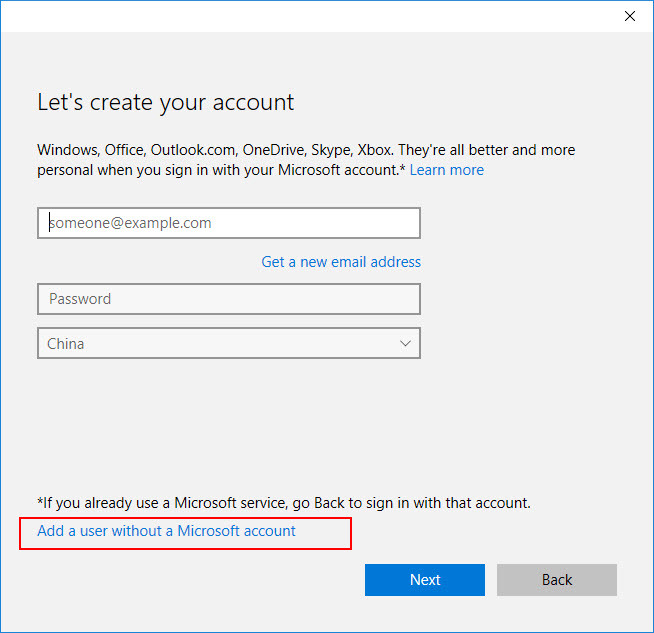 Step 6: Click on where it says Add a user without a Microsoft account. Step 7: Type in your user name, the password and Password hint. Then click on Next. 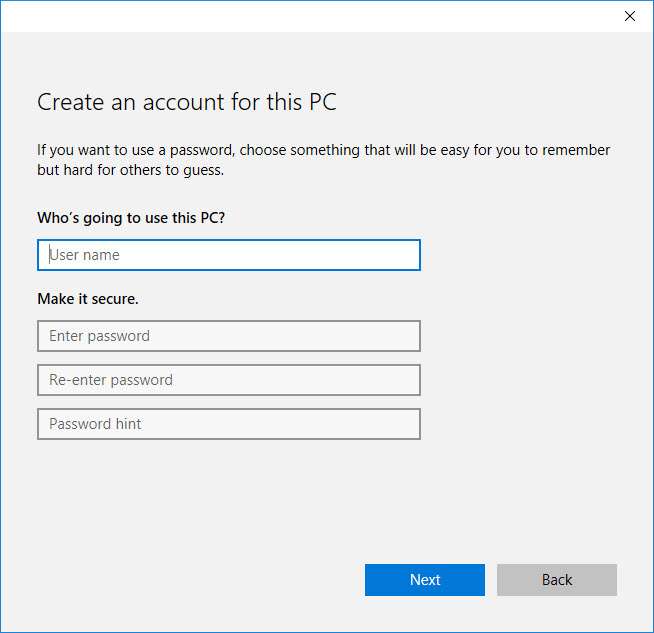 Note: Your Windows account name must contain only English letters and numbers. 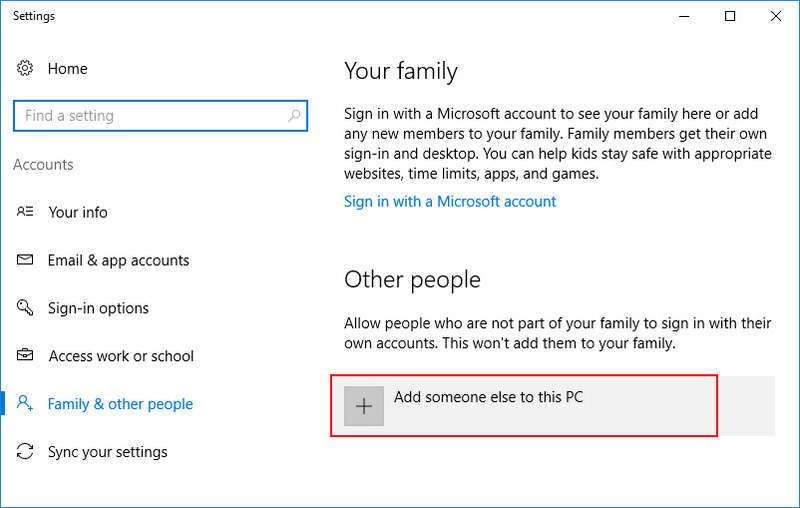 When you finish, follow the following steps to switch your Windows to the new account. 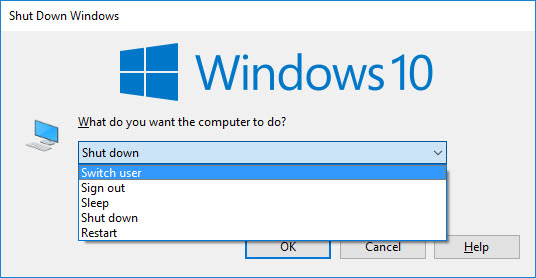 Step 1: On your keyboard, tap on Windows key and D key at the same time. It will bring you to the desktop. Step 2: Click on the desktop (this is very important), then tap on Alt key and F4 key at the same time. The Shut Down Windows will pop up. Step 3: Click on Shut down and choose Switch user. Click on OK then. Step 4: It will switch to the new user account and ask you to type the password. Step 5: Type in your password to enter the new account. Then follow below to download and install iMyFone Umate Pro in the new account. Please download iMyFone Umate Pro from the following button. When it finishes, open the downloaded file to install. When iMyFone Umate Pro is installed in the new user account (whose name must contain only English letter and numbers), you should use any erase mode on Umate Pro.